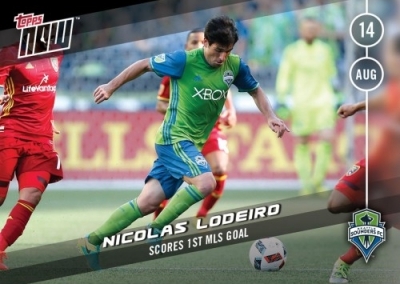 2016 Topps Now MLS Soccer is next up in the real-time market from Topps. 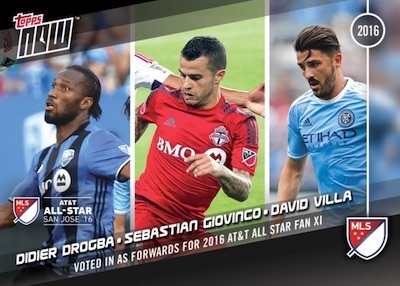 Featuring recent moments documented on cardboard with a limited sales window, the ongoing set begins with the 2016 MLS All-Star roster and notable events from July 16 and 17. The format is fairly simple with cards issued semi-daily based on what happens in the games. Collectors only have 24 hours to purchase the cards through the Topps Online Store before they are removed from production. 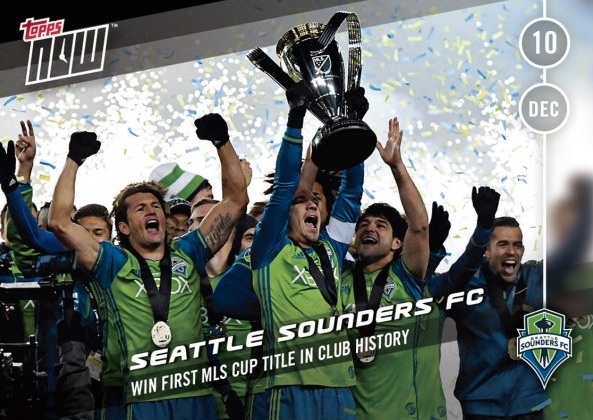 Only the specific number of 2016 Topps Now MLS Soccer cards that were ordered are printed and the print run is noted on every card. Jeff Heckman, Director of New Product Development & eCommerce marketplace, explains the decision for bringing Topps Now to MLS, saying, "MLS is one of the fastest growing leagues in the world with fans flocking to games every weekend. TOPPS NOW and MLS are a natural fit as we get to highlight the best plays as they happen with dynamic cards and fantastic imagery. We look forward to growing our MLS offerings with these great, new cards. 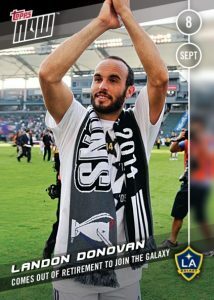 A new twist for Now, digital versions of the 2016 Topps Now MLS cards can be collected through the Topps Kick app. 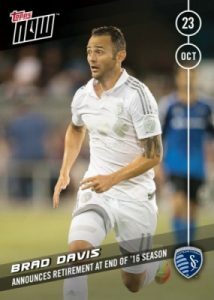 Shop for available Now MLS cards on Topps. Follow the listings below to shop of previous releases on eBay.